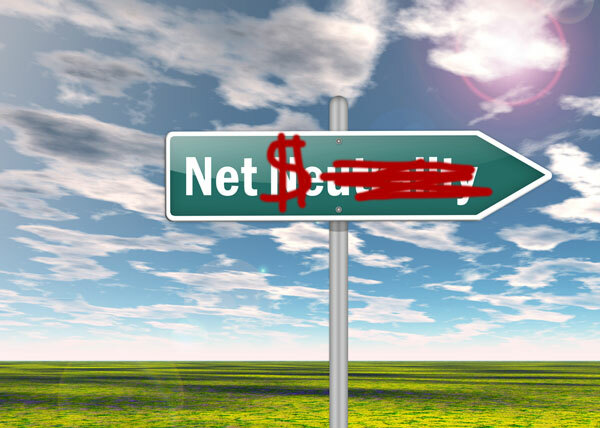 The Federal Communications Commission is moving forward with its plans to strictly regulate Internet traffic so that Net Neutrality isn't lost, but the agency isn't moving quickly to make that happen. Chairman Tom Wheeler said the FCC is moving slowly and deliberately to craft its new plan because no matter what happens, he expects the lawsuits are coming. We are going to get sued, because that's the history. We don't want to ignore history. We want to come out with good rules that accomplish what we need to accomplish: no blocking, no throttling, no fast-lane discrimination…and we want those rules to be in place after a court decision. The FCC has been working to find a way to legitimately enforce Net Neutrality ever since its previous attempt was shot down in Federal court nearly a year ago. Net Neutrality is the idea that all Internet traffic is treated equally, and that ISPs can't throttle traffic from competitors or charge companies extra for "Internet fast lanes." Verizon sued the FCC over the original rules, and the U.S. Court of Appeals sided with the ISP because treating companies like common carriers while exempting them from the rules governing common carriers isn't acceptable. Verizon won on a technicality, and the Court urged the FCC to find a way to enforce Net Neutrality that better fit within the agency's guidelines. Verizon, AT&T, Comcast, and other ISPs aren't excited about the prospect of FCC regulations blocking them from charging companies like Netflix extra fees for streaming content over their networks. While claiming they fully support Net Neutrality, Verizon and Comcast both pressured Netflix into paying extra fees so customers wouldn't have to deal with stuttering videos. Verizon has already made it clear it plans to sue if the FCC tries to reclassify ISPs as utilities, and AT&T stopped its planned high speed fiber network rollout over concerns about how it will be regulated, too. President Obama is pushing to classify ISPs as utilities, but that doesn't mean the FCC will go along with his wishes. Mr. Wheeler responded to the President's comments by saying the FCC is an independent agency, and it will won't bend to pressure from the White House. That said, Mr. Wheeler is making it clear now that the FCC is looking for a way to preserve true Net Neutrality instead of changing what the term means. "What we've been trying to do from the outset is to make sure that there's an open Internet with no blocking, with no throttling of apps, with no fast lanes that impinge on consumer rights and innovation and competition, with no discrimination, and that we get these in place," he said. The FCC has delayed its Net Neutrality vote until 2015 to give itself more time to develop rules that will hold up in court. Once those rules are announced, it's a safe bet ISPs will file their lawsuits to block the changes from going into effect. While it's unfortunate the FCC is assuming it will get sued by the ISPs once the new Net Neutrality rules are announced, it's smart that the agency is planning now for those cases. Going into its new rule planning phase under the assumption that court battles will follow means the agency will be much better prepared to defend its policies than it was the last time around.